“Why should I be scared if I am speaking the truth?” Anju said as she spoke enthusiastically about the many girls she has helped to attend school. Today, even the older and the orthodox generation of Daulatpur listens to this teenager. They not only agree with what she says, but also support her in her mission. But how did Anju Rani get here? How did she change the mindset of one of the most backward set of people? “I saw discrimination in my own family. If there is one apple in the house, my mother would give that apple to my brother. For many years I didn’t realise that this behaviour was odd. It was only after I read about the issue, I realised it is not fair and technically an offence. I told my mother indirectly that parents can get sentenced to jail for such behaviour,” said Anju Rani, the fierce 15-year-old girl from Daulatpur village of Haryana. Like many backward villages, Daulatpur too was struggling with issues like child labour, illiteracy, discrimination, etc. 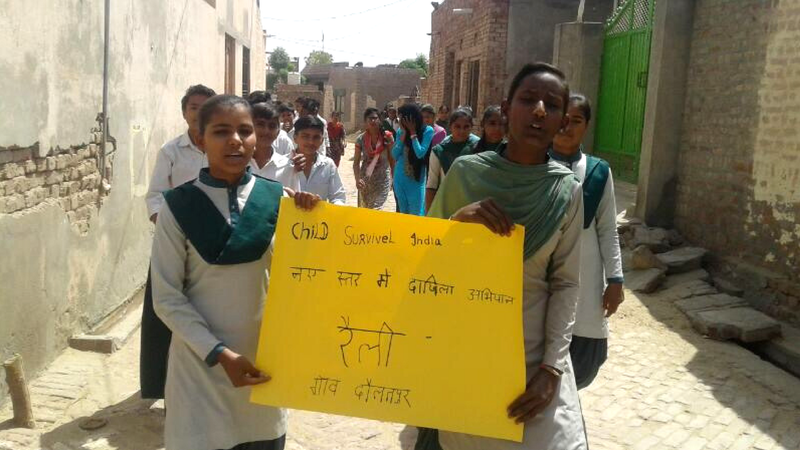 Children, especially girls, of Daulatpur continued to live their ignored life till Anju Rani happened. “Why should I be scared if I am speaking the truth?” she said as she spoke enthusiastically about the many girls she has helped to attend school. Today, even the older and the orthodox generation of Daulatpur listens to this teenager. They not only agree with what she says but also support her in her mission. But how did Anju Rani get here? How did she change the mindset of one of the most backward set of people? The story goes back to December 2015 when Anju’s friends regularly failed to finish their school homework on time. The girls had to do household chores all day long, which left little or no time to focus on their studies. Their parents too did not bother about their education. “We are not as lucky as you. Your parents have given you permission to study. But ours is a different case. If you want to change something, go talk to our parents, not us,” the girls said. Anju could not see her friends’ education getting affected and decided to take some action. One day, Save the Children did a seminar in her village about child rights. “I never knew such a concept existed and children actually have many rights,” she said. 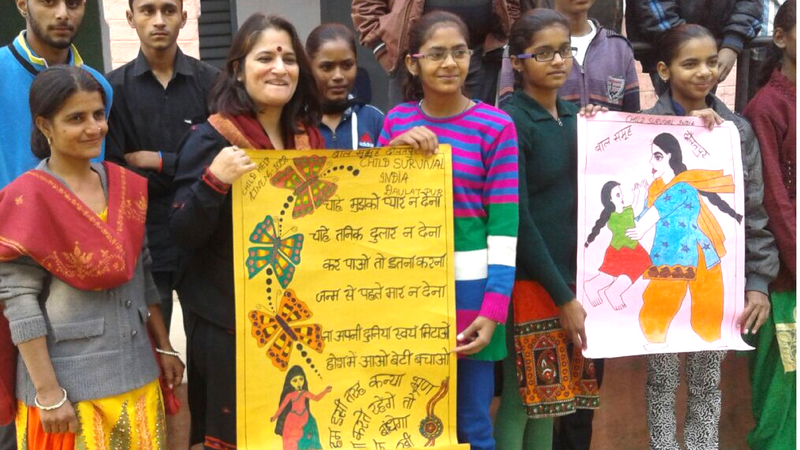 Inspired by these ideas she launched her campaign “Komal Haath Kalam Ke Saath”. Under this initiative, she has involved several kids who work in a team to make sure no family hinders their children’s education. Anju went to her friends’ house and confronted their families. But this did not make any difference to them. They scolded Anju for “spoiling” their girls and asked her to never come back again. The incident scared Anju a little bit. She shared the incident with her family, who also advised her to focus on her own education rather than interfering in others’ business. But Anju was not the one to sit quietly. She had seen a few videos on child rights and had developed significant knowledge on the topic. She was aware that depriving kids of education is not right and she can take legal steps against it. She wanted to do something, but she knew it is not possible to do that alone. 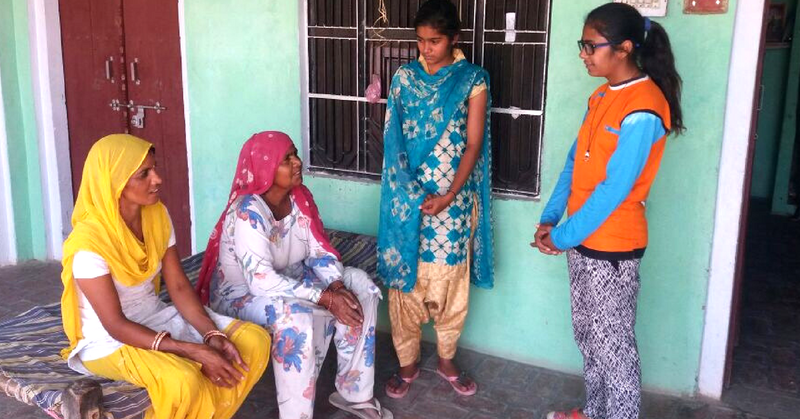 She approached the sarpanch of the village and told him all about the child rights and why families should not be asking girls to skip school. The sarpanch agreed to accompany her to her friends’ house. “We went to their house and told them that we can put them in jail for such behaviour. I guess the term ‘jail’ scared them and from next day not only my friends attended the school regularly, but finished their homework on time as well,” said Anju. And her friends’ good results were a testimony to the changed situation of their house. 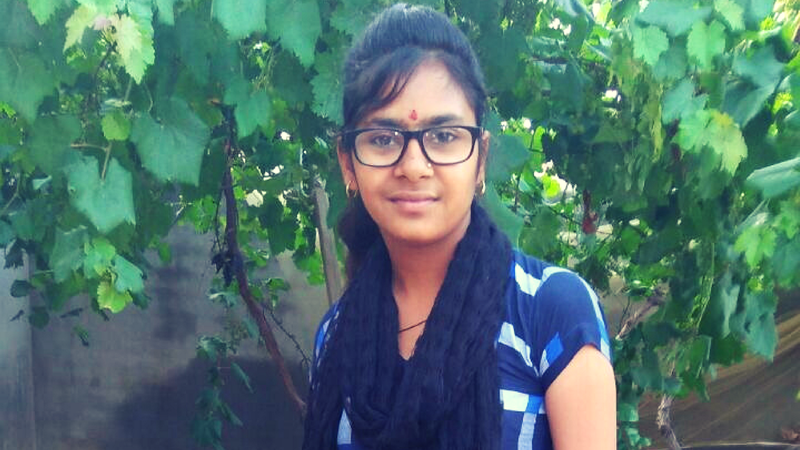 Anju’s friend Kavita who earlier scored 33 percent in her exams achieved 58 percent. “Taking sarpanch with me helped. People don’t take children seriously, but they think if the leader of the village is accompanying me then I must be right,” she says. The change was soon visible. Many families like Kavita’s now send their children to school regularly. Anju then set up a Child Protection Committee in her village. The committee comprised of about 10 members including the sarpanch of the village. She then started approaching different families and asked them to stop making their girls work. People gradually brought a change in their attitude and girls started attending school regularly. After this, Anju took on the bigger task of eliminating child labour from the village. During harvest season, many families engage their kids to work on the farms since the lack of labour is a big challenge. Children are often involved in cotton plucking and wheat harvesting. As landlords can get away with paying children less and exploiting them with long work hours, they encourage child labour on their lands. Children engaged in farm work miss out on their education and often end up dropping out of school. When a family is not financially stable, a child’s education takes a backseat. Children are considered as assets, which can help in income generation. The dropout rate of kids increases after they pass grade five as this is the age when they become suitable to work as labourers. As per the research conducted by labourers. As per the research conducted by Smile Foundation, India, 90 percent working children are in rural India and about 80 percent of child labour is engaged in agricultural work. Anju recalled an incident when she witnessed a family of farmers in her village. They were engaging their kids on the farm for long hours. Being a fearless girl, she went to the family and told them about the laws against child labour. She even educated them about the positive impact of education and also told them the consequences of not agreeing to her request. 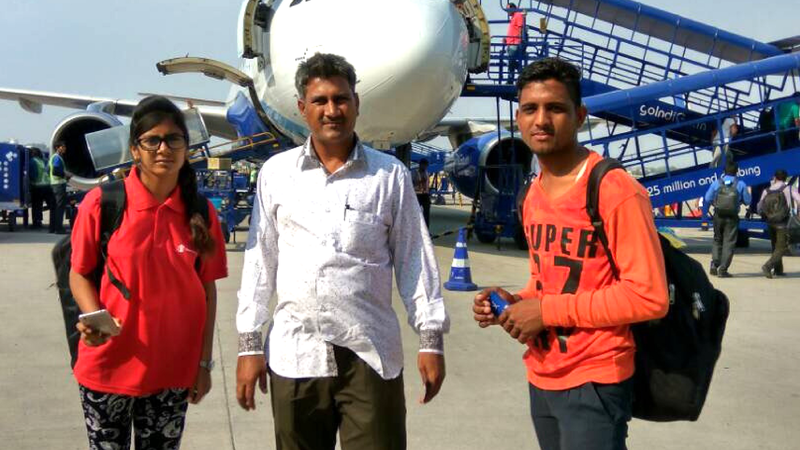 The family, who was there in Daulatpur for 15 days’ work packed their backs and left the village in just three days saying that they would now want to concentrate on their children’s education. But Anju was not yet satisfied. She doubted the family’s intentions and hence asked a friend who knew that family to keep a track of them. To her surprise, the family got their kids admitted in a school. The kids now attend school regularly and Anju still keeps getting updates on them. “My mission is to eliminate child labor, not just from my village, but from everywhere. I can’t get confined to one location. The issue is global and I need to spread the message everywhere,” she says. 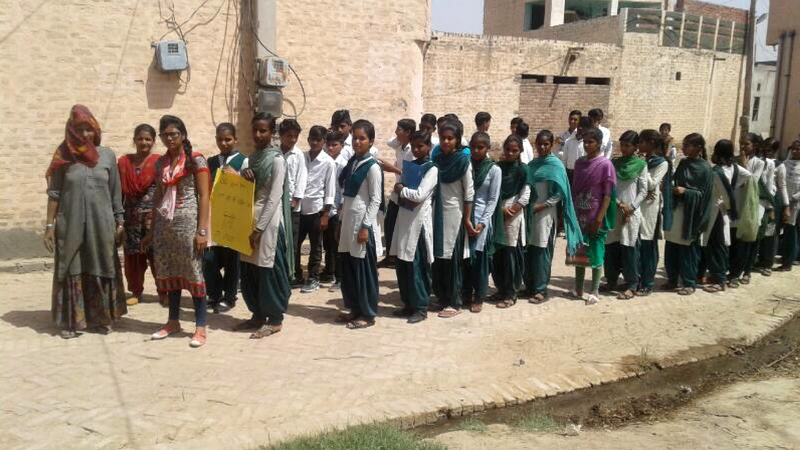 Since there is no demand for child labour in the village, families have started sending kids to the schools. Not just this, the overall attitude of the villagers has also changed. Earlier, the families would discriminate between girls and boys. The girls were not even allowed to step out of the house, but now one can see many girls playing in the fields along with other friends. “Earlier, I was the only girl in my village who used to ride a bicycle, now countless girls do that,” Anju shares proudly. The journey was not easy for Anju. She faced a severe backlash from the community, but this never deterred her determination. Her constant hard work paid off and now the people who earlier badmouthed about her appreciate her efforts and ask their children to be like Anju. “I have seen a change in my own family. My mother does not discriminate now. She loves me as much as my brother,” she shared. Although Anju has achieved significant success in her village, her journey has just started. She wants to reach nearby villages and expose various unethical scandals that she is aware of. Anju frequently travels to nearby villages to spread the word about the cause. She wants to take other girls whose lives have changed after her intervention, but the lack of money is a big constraint for her to scale this initiative. “The change cannot happen in just a day. I need to frequently visit these villages and families and that requires money,” she said. Anju was selected by Ashoka under the Youth Venture Programme, which gave her more confidence to continue her journey. If you want to support Anju Rani in her mission, you can do so by providing her either financial help or mentorship. Please reach out to us so that we can help you directly get in touch with her. You can write to us at – thestoriesofchange@gmail.com.